Taiwanese Giant and a leading innovator in mobiles & virtual reality technology, HTC Corporation, today unveiled its two latest new smartphones HTC U Ultra and the HTC U Play in the Indian market. The Phones embody everything that is brilliant, unique, sophisticated and a reflection of everything that is beautiful. 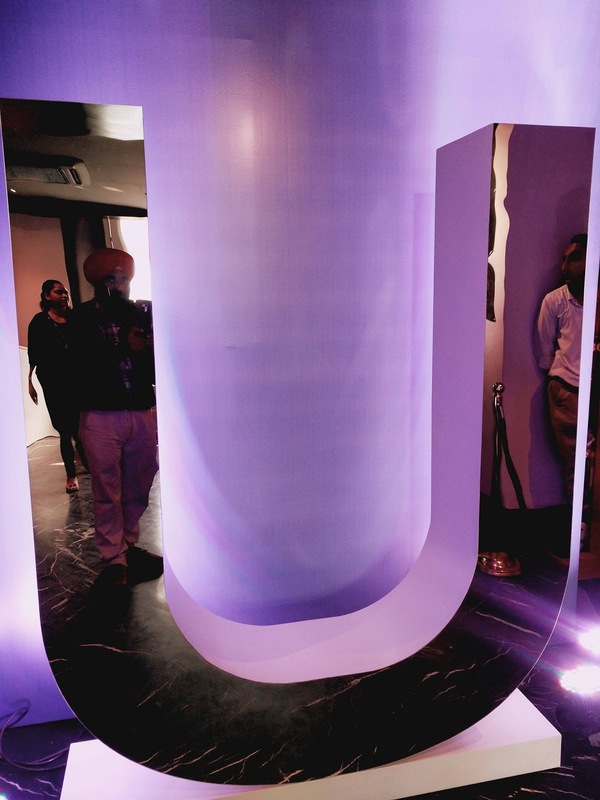 Both the smartphones come with beautifully 3D contoured, liquid surface, adaptive HTC U sonic technology for personalized hearing and a unique combination of MegaPixel and UltraPixel camera technology on the front to provide vivid light, color and detail. The HTC U Ultra is priced at Rs. 59,990 (MOP) and the HTC U Play is priced at Rs. 39,990 (MOP). 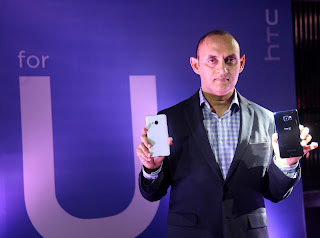 Unveiling the new range, Mr. Faisal Siddiqui, President-South Asia, HTC said, “ The launch of the HTC ‘U’ series marks the beginning of our several exciting launches in India this year. Our focus is on design, quality, HD adaptive audio and Artificial Intelligence integration for the discerning customer looking for a premium product with a global appeal”. 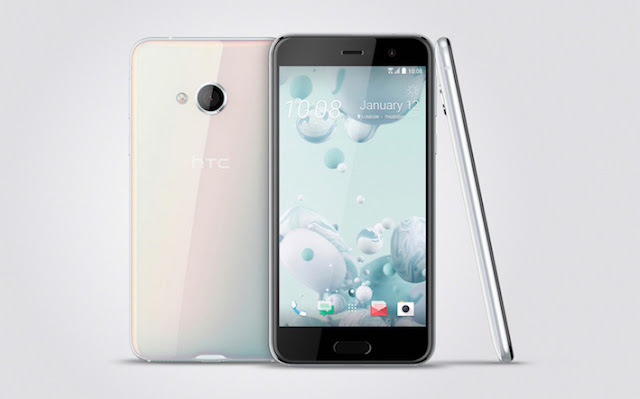 The HTC U Ultra comes equipped with the dual display, HTC Sense Companion, U Sonic and Voice recognition. The device has BoomSoundTM Hi-Fi edition speakers and camera with 16MP and UltraPixelTM in the front and 12MP UltraPixel main camera to deliver less blur, faster focus, better photos at night. HTC U Ultra and U Play comes in with a 64GB memory variant. The HTC U Ultra is available in three colors, which include Brilliant Black; Cosmetic Pink and Sapphire Blue. The HTC U Play with a 5.2” perfectly symmetric thin design takes brilliant selfies with 16MP rear and UltraPixelTM front camera. 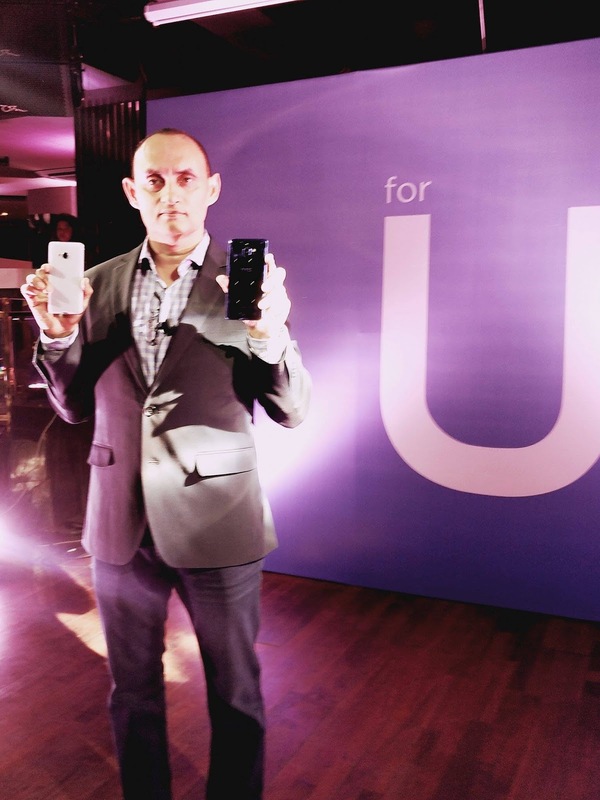 The HTC U Play is available in Iceberg White; Indigo Blue; Black Oil and Cosmic Pink Gold colors in the Indiamarket. The device has a new, beautifully 3D contoured, liquid surface that’s designed to reflect the best in you. The device has a Lustrous; symmetrical, curved glass construction that reflects light beautifully with color from vapored minerals layered to add depth and brilliance from every angle. The polished surface bends and blends seamlessly into the side of the phone allowing it to nestle perfectly in your hand. Voice recognition is the most natural way to interact. HTC U Ultra can recognize your voice and respond, even if it’s asleep. It navigates your phone, take or reject calls, snooze or dismiss alarms, and more. The new Dual Display gives you the information you need, at your fingertips. It is perfect for fast, convenient access to the things you use the most, like your favorite contacts, apps, reminders, event notifications and more. This is because what’s important to you should always be right on top. As every person’s inner ear is as unique as their fingerprint HTC USonic4 analyzes your inner ears with a sonar-like pulse, and then adapts to you. It is like having a sound engineer in your phone. The tiny microphones listen for the sonic reflection in your ears - One in the left ear, one in the right analyze the reflected tone to optimize the headsets just for you. Whether you’re in a library or at a party, you can adapt your headset to suit noise levels around you. Four omnidirectional mics capture positional sound and recording 360-degree immersive audio which makes you feel like you are there at a rock show, in the concert hall or anywhere you want. HTC U Ultra takes brilliant selfies. You can easily switch between 16MP and UltraPixelTM in the front camera5 and choose between unparalleled light sensitivity of UltraPixel or the high resolution of 16MP to get the biggest shot with most details. 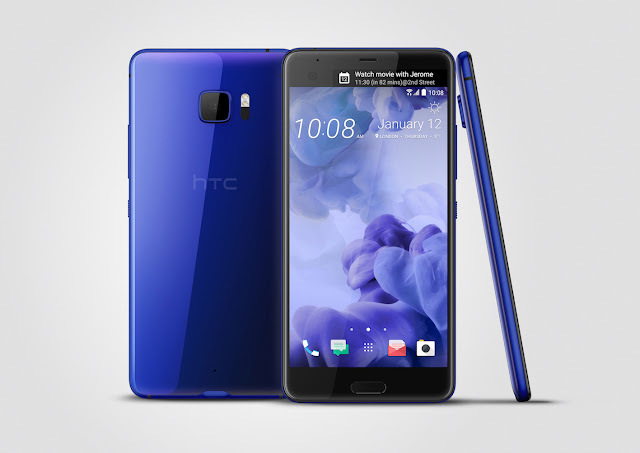 The HTC U Ultra is rated as industry’s best with12MP UltraPixel main camera which delivers less blur, faster focus, better photos at night. As we know that every photo is important to you, anytime, anywhere. The HTC U Play 5.2” smartphone is designed to reflect the best of you. The device comes with a new, beautifully 3D contoured, liquid surface with Lustrous, symmetrical, curved glass construction that reflects light beautifully. HTC U Play comes with HTC Sense Companion2. This personal companion is always learning from you and comes with voice recognition built-in so that it’s able to respond to your voice. Just say the word to navigate your phone, take or reject incoming calls, snooze or dismiss an alarm, send messages and even begin hands-free navigation. HTC USonic4 analyzes your inner ears with a sonar-like pulse, and then adapts to you. The tiny microphones listen for the sonic reflection in your ears analyzing the reflected tone to optimize the headset just for you. Whether you’re in a library or at a party, you can adapt your headset to suit noise levels around you. You can take brilliant selfies anyway you like by easily switching between 16MP and UltraPixelTM in the front camera5. You can choose between unparalleled light sensitivity of UltraPixel or the high resolution of 16MP for whatever meets your need. The 16MP main camera delivers less blur, faster focus, better photos at night. 2 HTC Sense Companion retrieves information from third party websites and databases. HTC is not responsible for the accuracy of such third party content. 3 Some feature available for download in 2017 and may not be pre-installed. Feature installation requires an internet connection and download and acceptance of an HTC system update. 5 UltraPixel mode is four times more sensitive to light than standard mode.